Well to say that it’s been awhile since my last post would be an understatement. After posting consistently for the past year and a half, I haven’t posted in more than three months. So before we start 2012, I wanted to update everyone on what’s been going on in my life. Let’s start with Skype. 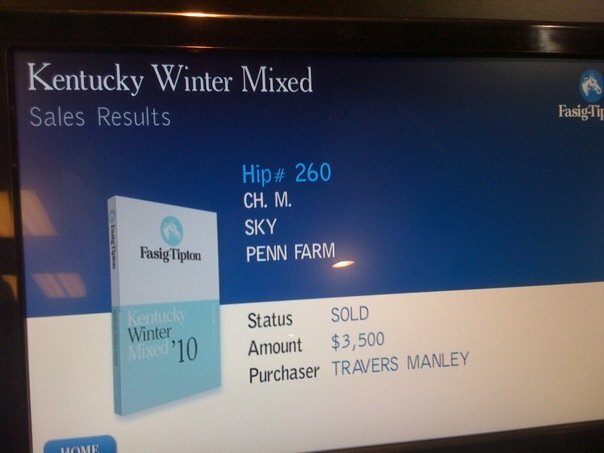 Most of you know that Skype was purchased at the 2011 Keeneland September Yearling Sale for $7,000. You might not know that she was purchased by connections from Puerto Rico and has been sent there to begin training. It’s not the best thing in the world and I would have much rather her gone to anAmerican outfit, but that’s the way it goes in a public auction. I can only control her reserve, but not who purchases her once the price goes beyond it. It took awhile for me to “make peace” with the situation, but I’m fine with it now. Hopefully she’ll be a big fish in a fairly small pond and can get herself some black type. Puerto Rico’s racing falls under the jurisdiction of the Jockey Club so I’ll be able to follow her races. 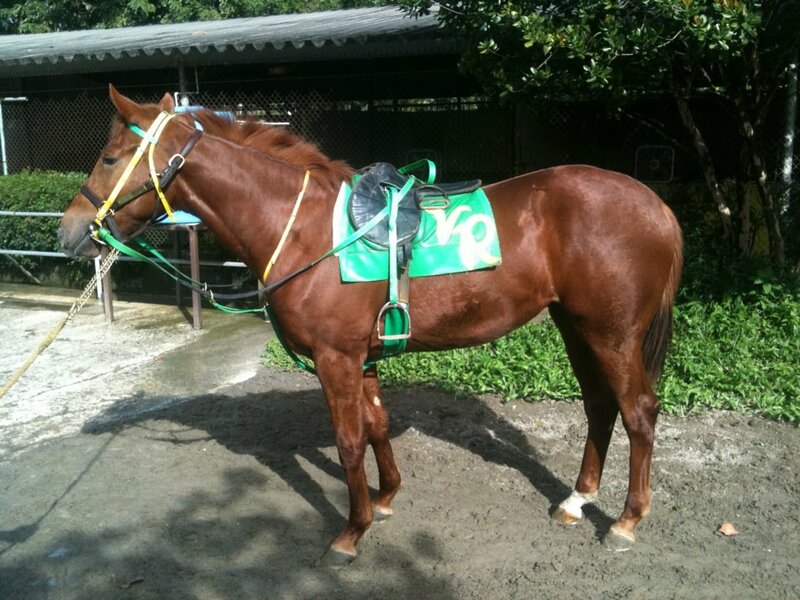 She has been named Score Classy by her new owners and has begun some light training. I found a man on Facebook who works with her in Puerto Rico and he sent me this picture of her. Technology is pretty cool, huh? 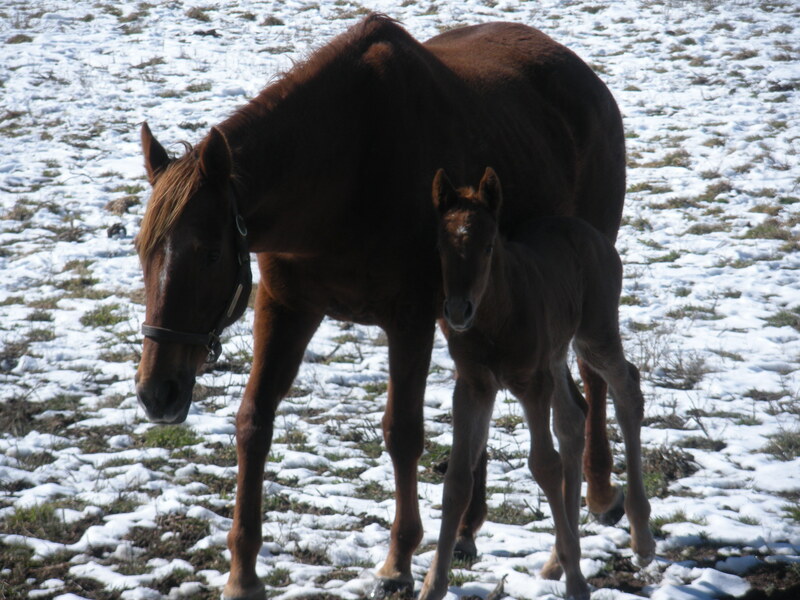 After taking a look at Faith, I went to the other side of the farm to see her mom, Sky. 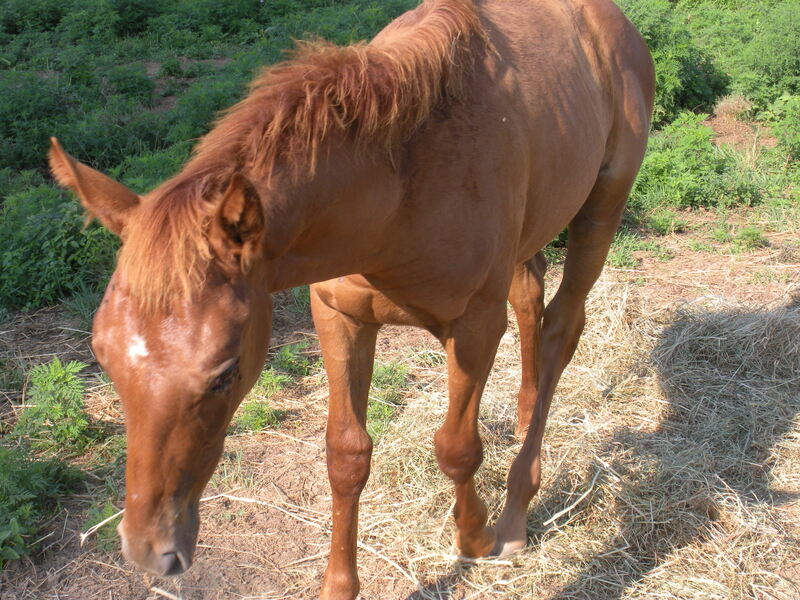 Sky is currently in foal to Stevie Wonderboy and is due to drop around the beginning of April. Stevie Wonderboy has had a pretty decent year as a freshman sire. He’s had a handful of winners and a couple of stakes winners with a crop smaller than many of the other sires at the top of the freshman list. Hopefully he will have continued success as his first crop of 2-year-olds turn three and begin running longer distances. 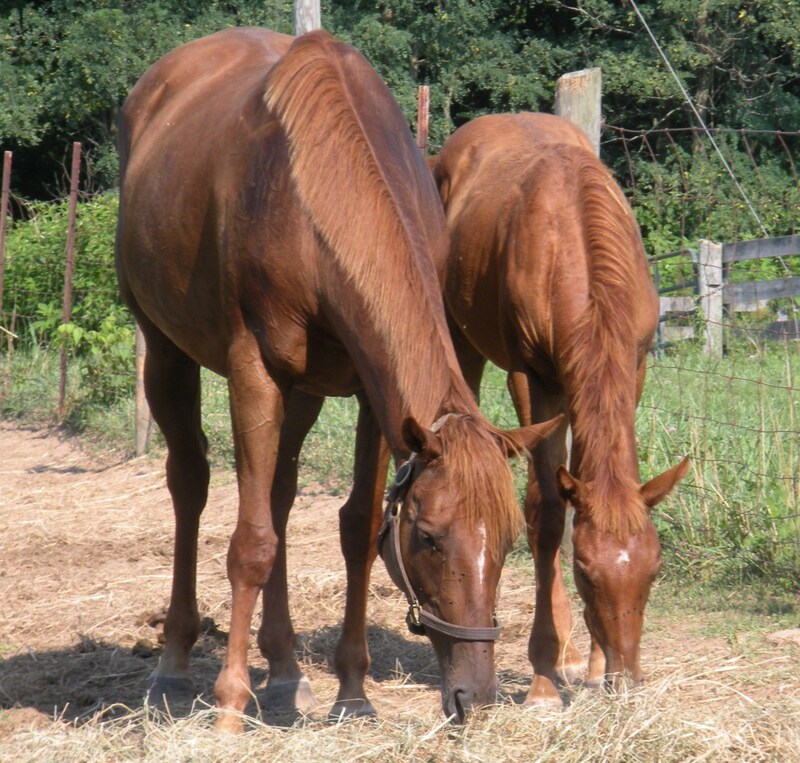 One more update on my animals…I added another chestnut filly to my life a couple of weeks ago. She’s just a tad smaller than the first two (and previously three) that I have in my life. 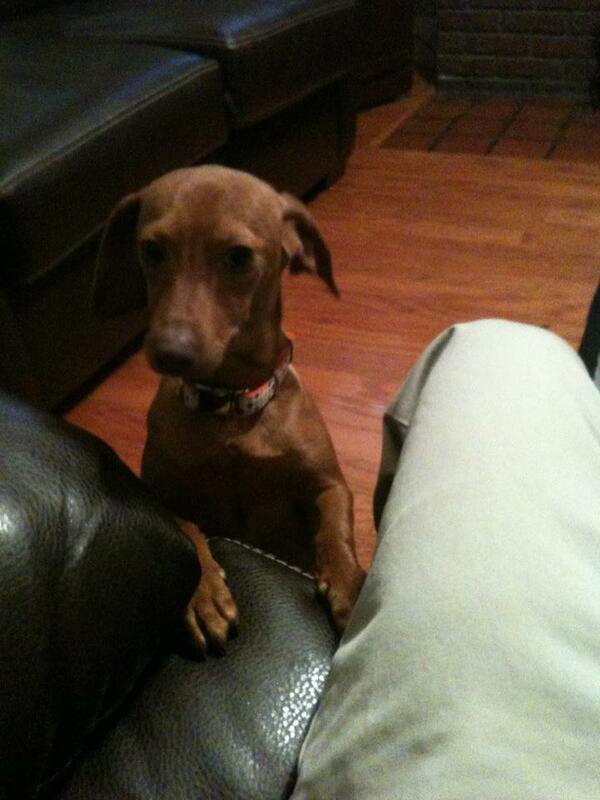 Her name is Lilly and she is a six-month-old dachshund. My girlfriend Amanda and I rescued her from an animal shelter in Louisville. She loves dogs and finally convinced me to get a pet that I wouldn’t ever have to sell haha. If you ask me why she is named Lilly, I would tell you that she is named after the flowers given to the winner of the Kentucky Oaks (yes, I know the flower is spelled lily). My girlfriend would tell you that she is named after Lilly Pulitzer, the designer. Oh well…it was a name we could both agree upon. She turned down Sara (for Saratoga), which I didn’t think was too bad. I didn’t even suggest Personal Ensign…didn’t think that would go over too well. I made it through the Fall Meet and it was a ton of fun. It really flew by, though, because it was non-stop action from start to finish. We began the meet with Stars of Tomorrow I and the Breeders’ Cup and ended things with a Thanksgiving weekend packed with stakes action. Hopefully some of you were able to read the Barn Notes I wrote at ChurchillDowns.com. If not, look for them in the Spring. My meet highlights included Royal Delta’s win in the Ladies’ Classic, St Nicholas Abbey’s dominating performance in the Turf and Gemologist’s win in the Kentucky Jockey Club. I took last week and this week off for the holidays and start back after the New Year. I’m told that the craziness preparing for the Derby will begin as soon as I step in the office. I probably don’t have any idea what’s in store for me and maybe that’s a good thing. It’ll be a lot of early mornings and late nights, but it’ll be all worth it on May 5. I apologize for not posting in a while and I promise to keep this blog more updated throughout 2012. Thanks for reading and have a fantastic New Year. The Spring Meet at Churchill Downs came to a close on July 4 and it was a meet I will never forget. I accepted a job at Churchill in April, began work on May 12 and now my first meet is officially in the books. Here are my top ten highlights from the meet (in no particular order). 2. Trainer Garry Simms, who has become a good friend of mine this meet, winning the Debutante with Flashy Lassie. The Debutante was also my first recap of a graded stakes race. 5. The tornado that tore through the backstretch at Churchill Downs. It’s not exactly a “happy” highlight, but thankfully no people or horses were hurt and obviously it will be something that I’ll always associate with my first meet. 10. Speaking to the connections of Wise Dan after his win in the Firecracker Handicap on closing day. Trainer Charlie Lopresti was so excited he couldn’t stand still during the interview and owner Mort Fink told me, “This is one of the greatest things to happen to me.” It was great to see that kind of pure joy following such a big win. The team took a couple of days off to take a breath after the meet, but it’s back to work tomorrow. I’m sure before I know it my first off-season at Churchill will be in the books as well and I’ll begin my first fall meet. Time flies when you’re having fun and I’m having an amazing time. One month ago today, I graduated from the University of Kentucky. It really seems as though it was just yesterday. The older I get, the faster time seems to fly. It’s been a really exciting month and hopefully things continue to go well. Working at Churchill Downs has been great. I’ve really enjoyed meeting lots of interesting people and working at one of the most historic racetracks in the world. Things have been more challenging the last couple of weeks because I am sort of out on my own now. 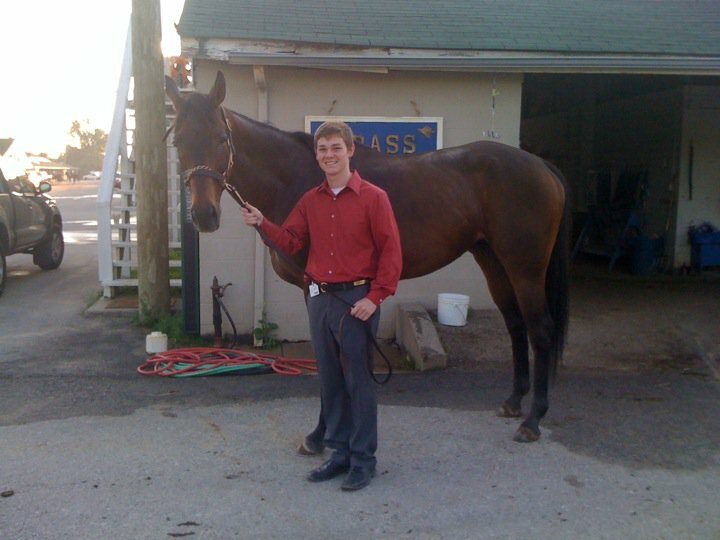 Prior to Preakness weekend, I was accompanied by Gary Yunt while working in the press box and on the backside. Gary was loaded with information and had been writing about news on the Churchill Downs backside since before I was born. He decided to move home to Denver and “watch the deer and the antelope play” after the Preakness and since then I have had a lot more responsibility. It’s been a great experience and I’m learning more than I ever thought was possible. If you are interested in reading the Churchill Downs Barn Notes that I have been working on with John Asher and Darren Rogers, then you can click on the following link: http://www.churchilldowns.com/news/archive/barn-notes. One of the best parts of my job is being around the stars of our sport on a daily basis. I stood just a few feet away from Animal Kingdom the day before he won the Kentucky Derby, I watched Shackleford get a bath shortly after returning to Churchill Downs following his Preakness victory, and last week I got my picture taken with the recently retired Brass Hat, a Grade I winner of more than $2 million. 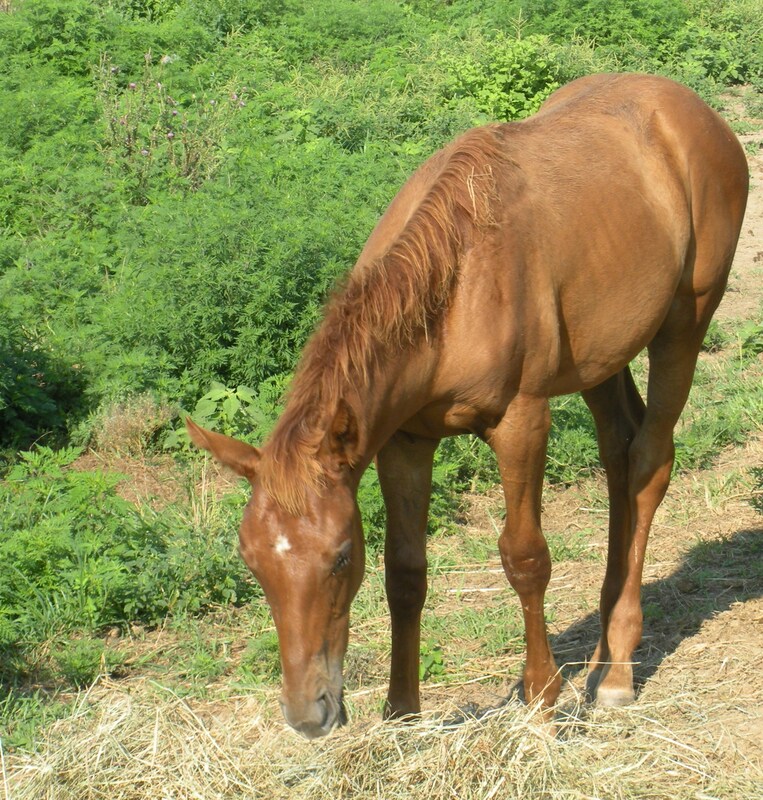 The picture I took with Brass Hat is below. Trainer Buff Bradley took the picture for me after handing me the shank. It was so cool! The goal from the age of 15 was to be employed in the Thoroughbred industry because I wanted to have a job I would enjoy. I can honestly say that I love waking up for work in the morning. Thank you to all the readers of this blog for the continued support. I apologize for the blog not being updated as often as usual. I’m sure I will have more time to update the blog at the end of the Churchill Downs Spring Meet, which is July 4. But if you’re interested in what I’ve been writing about at work then you can read the Barn Notes on the Churchill Downs website. In tomorrow’s fifth race at Churchill Downs, Dullahan will make his career debut for trainer Dale Romans and owner Donegal Racing. 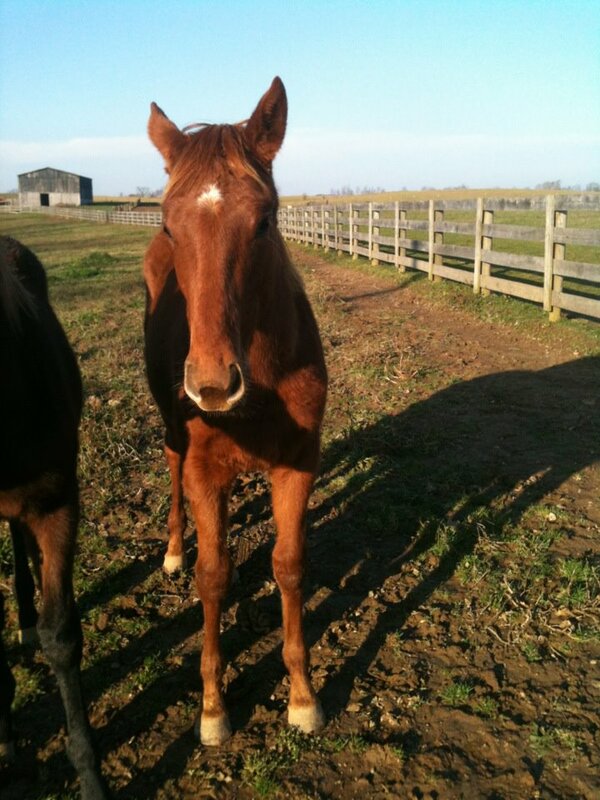 Dullahan is a 2-year-old half-brother to Mine That Bird by Skype’s sire, Even The Score. Jerry Crawford of Donegal Racing bought the colt at last year’s Keeneland September Sale for $250,000 and Romans told me he is “definitely one to watch.” I’d love for Dullahan to do really well and get some good press for Even The Score before Skype enters the Keeneland sale this September.